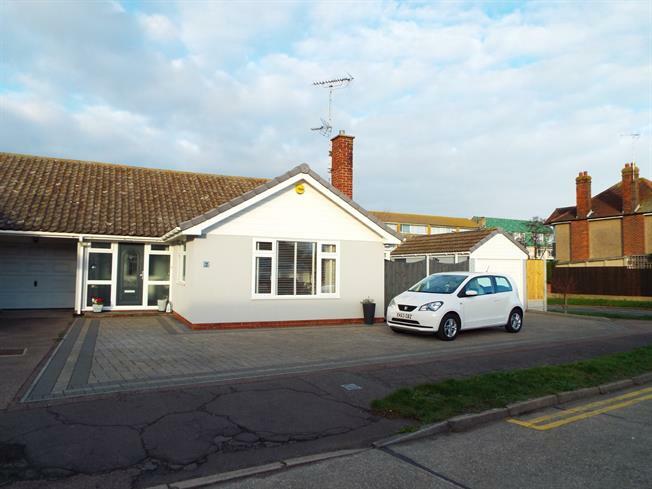 2 Bedroom Semi Detached Bungalow For Sale in Clacton-on-Sea for Offers in excess of £275,000. We are delighted to offer this immaculately presented bungalow situated in a fantastic location. The property has been improved by the current owner with a modern kitchen with granite work tops, four piece bathroom suite, fitted wardrobes in both bedrooms and a conservatory. Outside there is plenty off parking and a detached garage and a great size rear garden. Internal inspection is essential. The rear garden is enclosed by wood panelled fencing and has two raised decking areas, paved patio, mainly laid to lawn, blue slate feature with sleepers, flower and shrub beds, gate to side access, outside lights and outside tap. The front garden is mainly block paved which provides plenty of off street parking and access to the detached garage. Up and over door, door to side, power and light connected, eaves storage.